ivWatch, LLC, a Hampton, Va.-based medical device manufacturer focused on improving the safety and effectiveness of IV therapy, closed $14.8m in funding. Backers included undisclosed angel investors, family funds and a major hospital system. The company intends to use the funds for direct go-to-market and strategic partner activities. 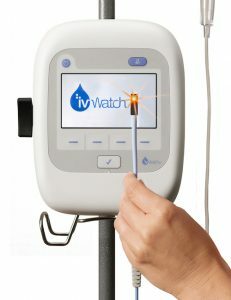 Led by Gary P. Warren, president and CEO, ivWatch ivWatch has developed a technology device that aids clinicians by continuously monitoring an IV site and assessing if drugs are actually being delivered to the vein without leakage. The ivWatch Model 400 is an FDA-cleared device that continuously monitors any patient’s peripheral IV for the early detection of these infiltration and extravasation events and allows clinicians to manage the risk associated with IV therapy. The company also recently launched the ivWatch Original Equipment Manufacturer (OEM) Board to enable integration of ivWatch’s IV infiltration detection technology with patient monitoring systems, infusion pumps and other devices.